Camps at Appleby College provide co-educational opportunities to develop advanced skills, and promote interactive skills among participants. Each Appleby camp has the use of superb facilities and offers access to excellent instruction. Our programs emphasize individual development, participation, co-operation and fun! As the Instructor, Level I, you will be responsible for directly supporting the Head Instructor within the specific area. The Instructor, Level I will work as part of a team to ensure a safe, productive and enjoyable experience for all campers. · Actively participates in all assigned aspects of the campers’ day including activities, meal times, games, etc. 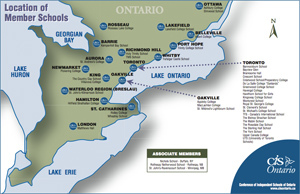 Appleby College Camps and Academies provide the highest quality of instruction to campers in a fast paced and challenging work environment. Compensation is dependent on experience and qualifications. Appleby is committed to fostering an inclusive, equitable and accessible environment where everyone feels valued, respected and supported. Accommodations are available for applicants with disabilities throughout the recruitment process.